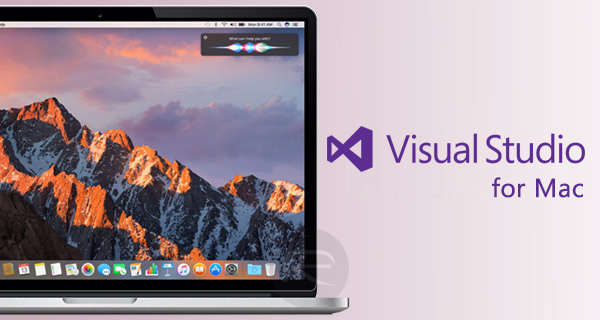 You can now download Microsoft Visual Studio for Mac 2017 final version. Here are the details on the release. Microsoft announced back in November that it would be bringing its Visual Studio development software to the Mac, and following a period of previews the company has today confirmed that it is ready for prime time. 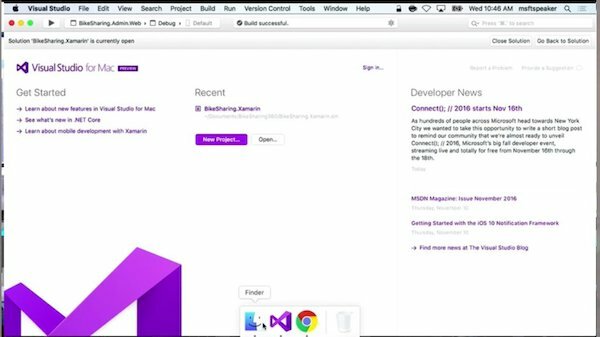 Visual Studio for Mac is now available and out of the preview phase. The announcement came today during Microsoft’s Build 2017 developer conference. Microsoft says that Visual Studio for Mac “enables developers to work seamlessly across Windows and Mac environments with full support for mobile, web and cloud workloads, and previews of Docker tools, Azure Functions and Xamarin.IoT support.” That working between Windows and Mac environments part is important, with developers now able to do their work no matter what machine they are sat in front of. In a world where people, particularly developers have access to multiple machines, that alone can make a big difference to productivity. At its heart, Visual Studio for Mac is a macOS counterpart of the Windows version of Visual Studio. If you enjoy the Visual Studio development experience, but need or want to use macOS, you should feel right at home. Its UX is inspired by Visual Studio, yet designed to look and feel like a native citizen of macOS. And like Visual Studio for Windows, it’s complemented by Visual Studio Code for times when you don’t need a full IDE, but want a lightweight yet rich standalone source editor. Those looking to begin Visual Studio development on a Mac can purchase and download it direct from Microsoft right now at visualstudio.com, where all the pricing and details are also available for various version. And those who do exactly that by May 17th will get free 60-day access to Xamarin University as well. If you are going to download Visual Studio anyway, now would be a good time to do it. You have less than a week to take advantage of that offer. That’s very good. One of the reasons I didn’t get a Mac. When it’s as functional as windows I’ll definitely get it. Why you almost never post links to what are you reporting?